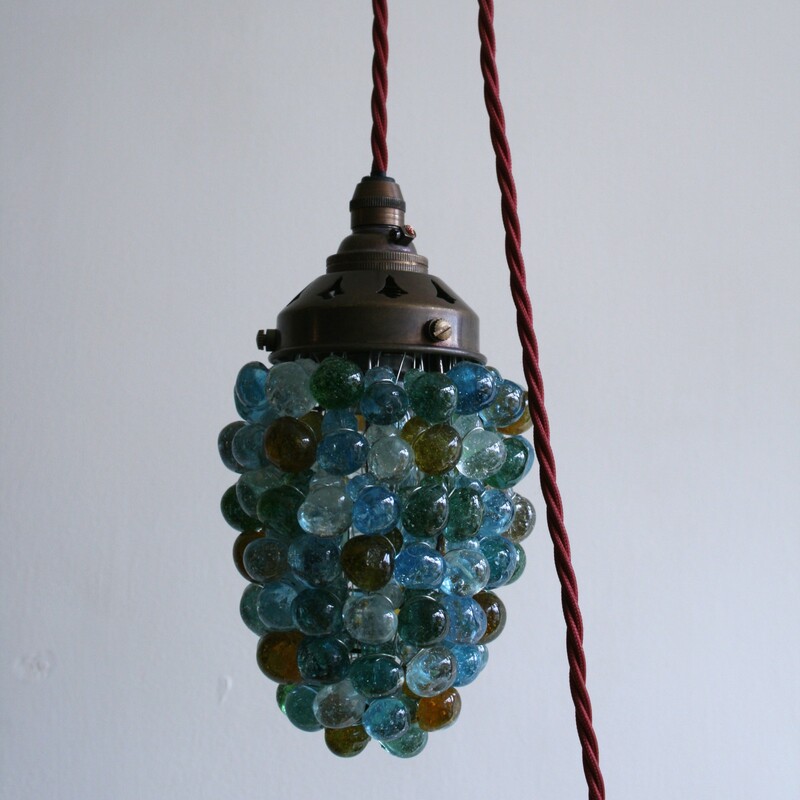 This charming pendant comprises aqua blue, soft blue, forest green, clear and amber glass beads hung from a mesh cage. When illuminated the pendant casts a soft dappled light on to nearby surfaces. This example has been finished with a plug and two metres cranberry braiding which becomes a real feature of the light when draped down. The drape can be created using a decorative wall bracket or hook, depending on the hanging space. There are more of these pendants available, some of which can be wired directly into the ceiling. There is also a selection of different coloured beading and braiding. Please enquire about the options available.